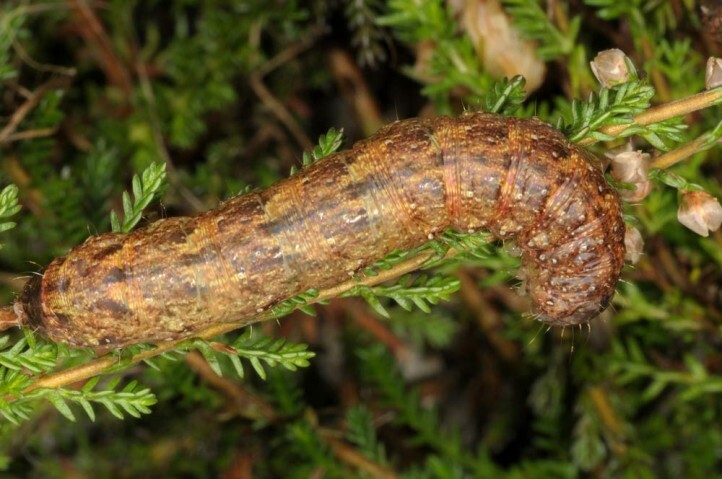 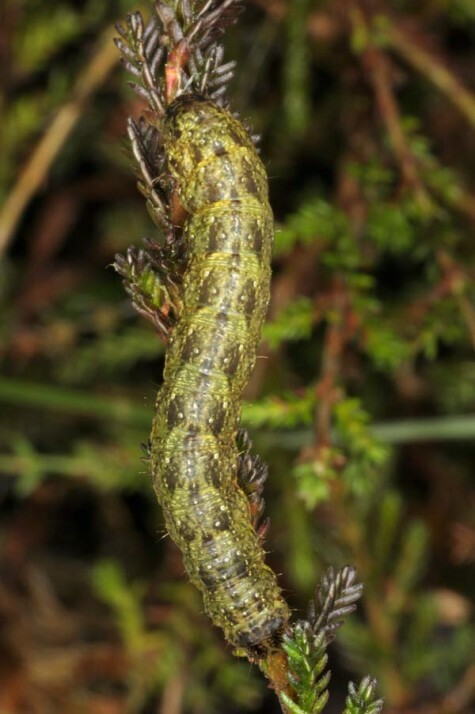 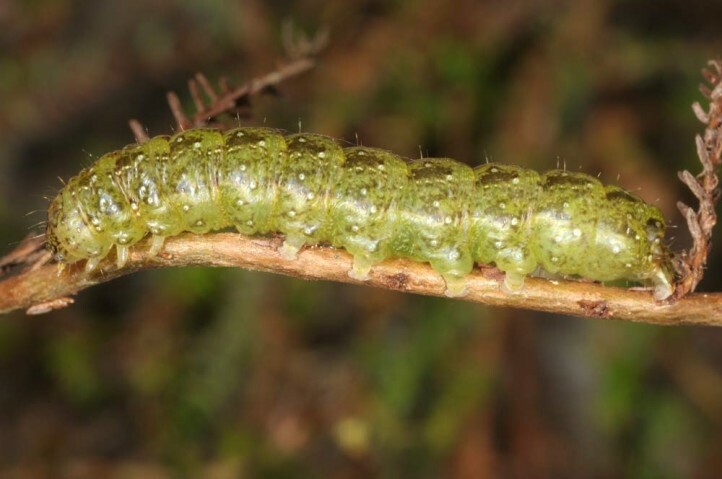 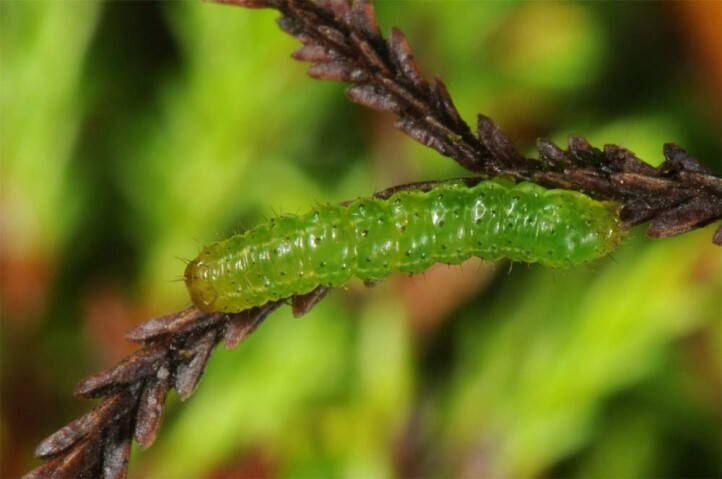 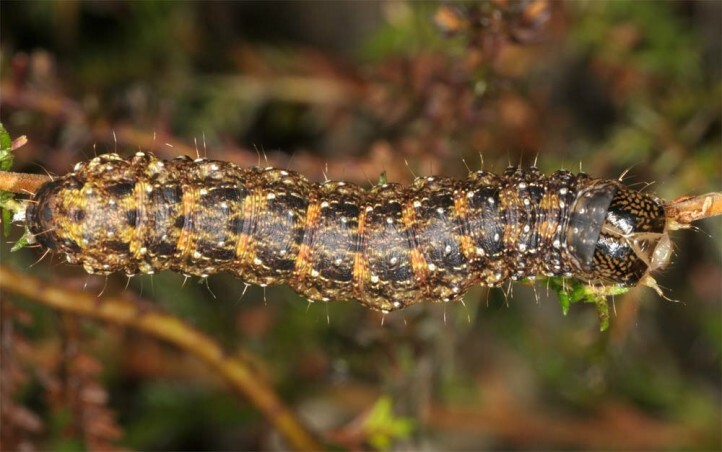 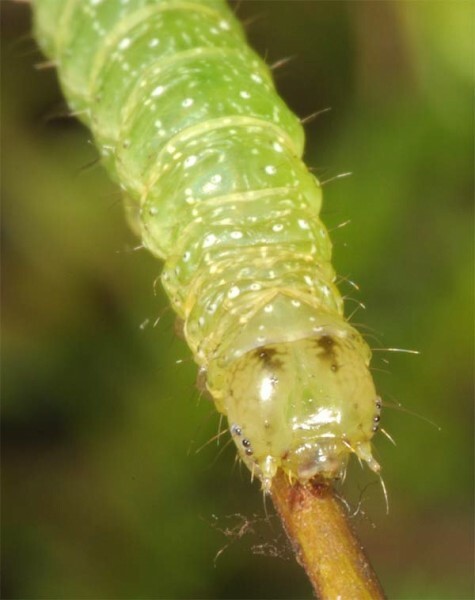 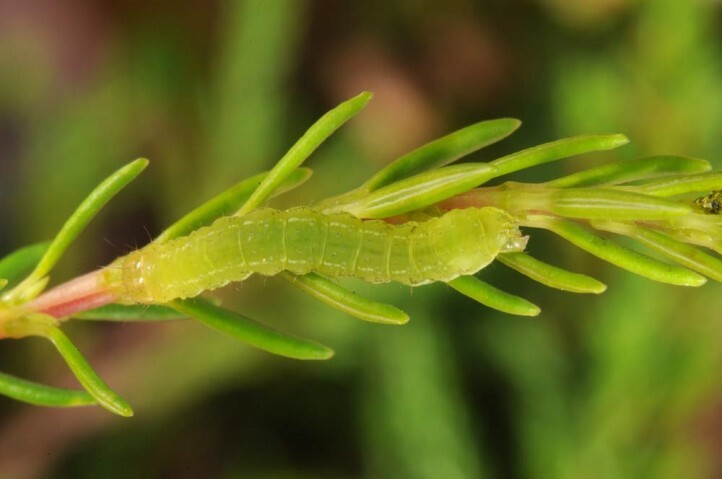 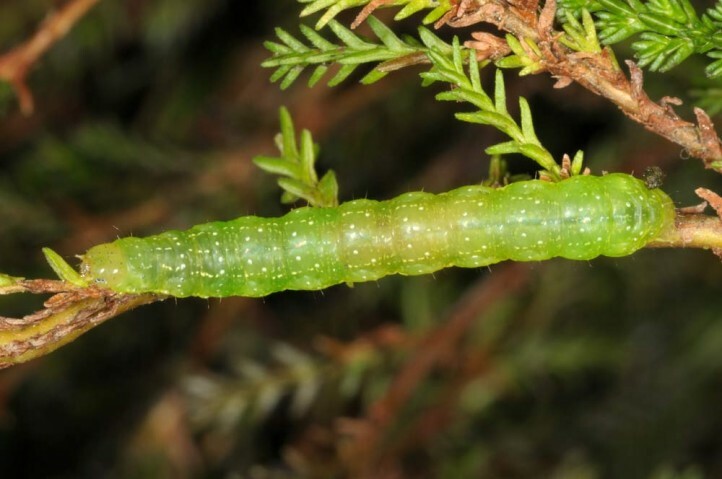 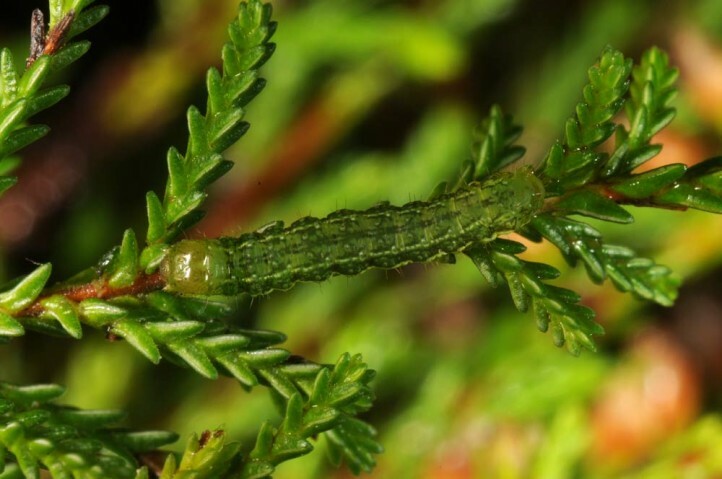 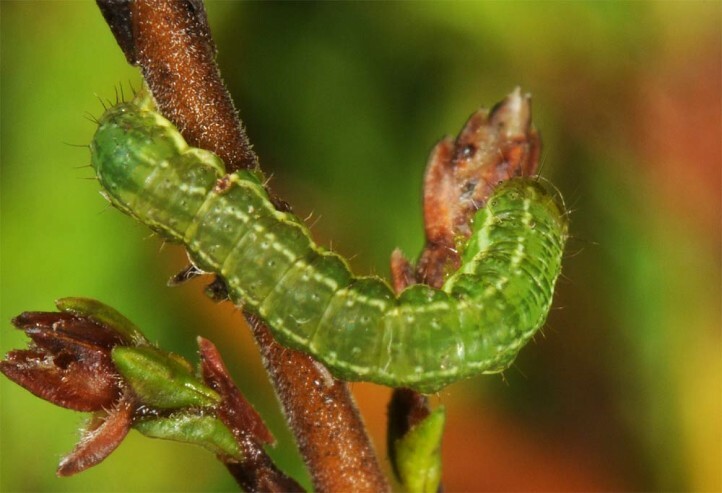 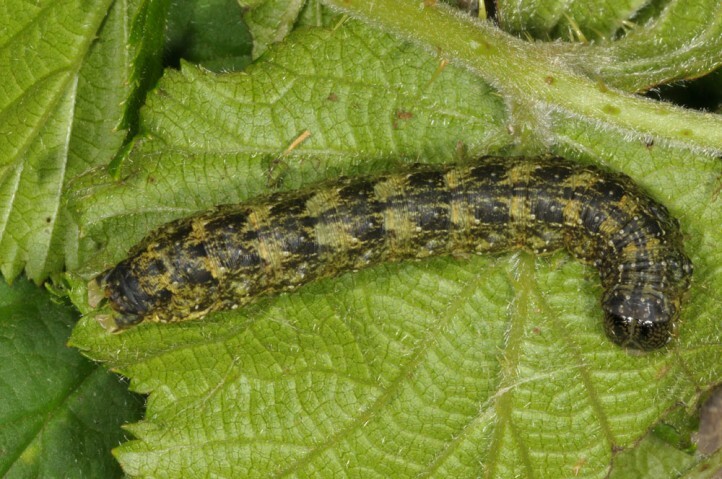 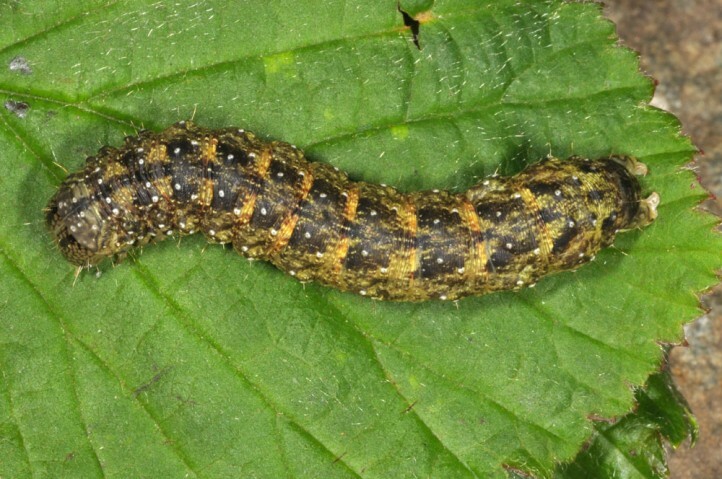 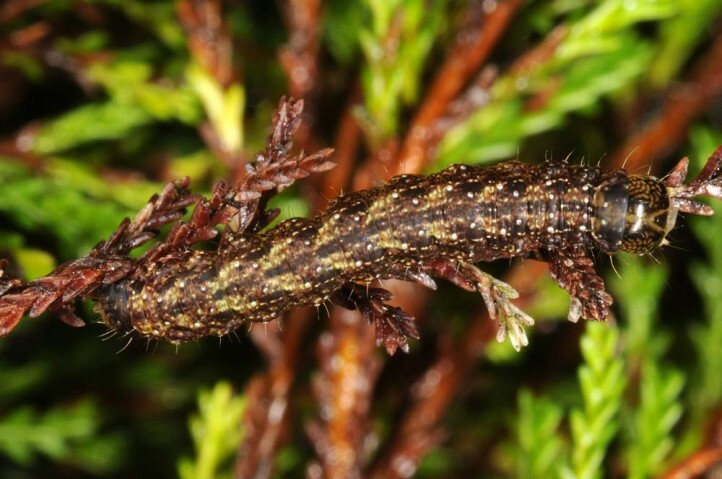 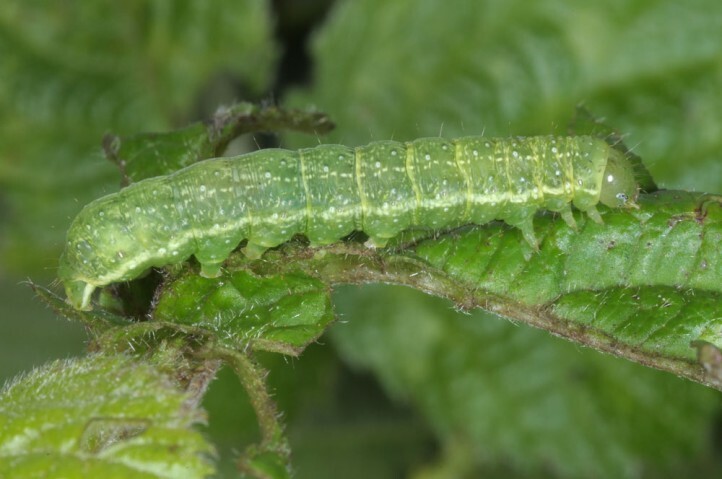 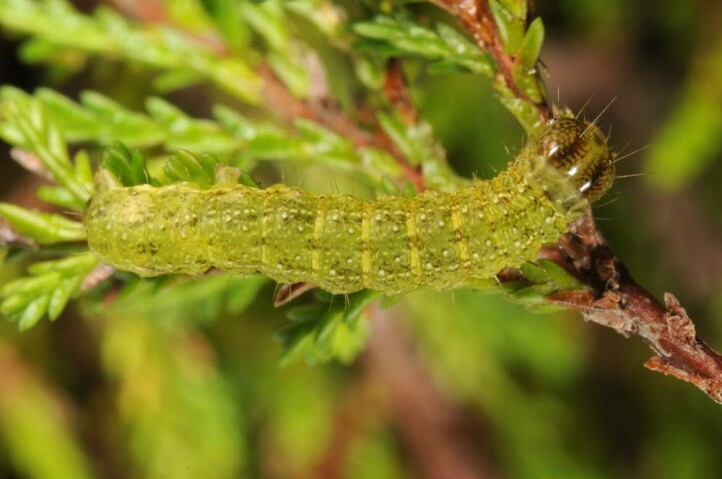 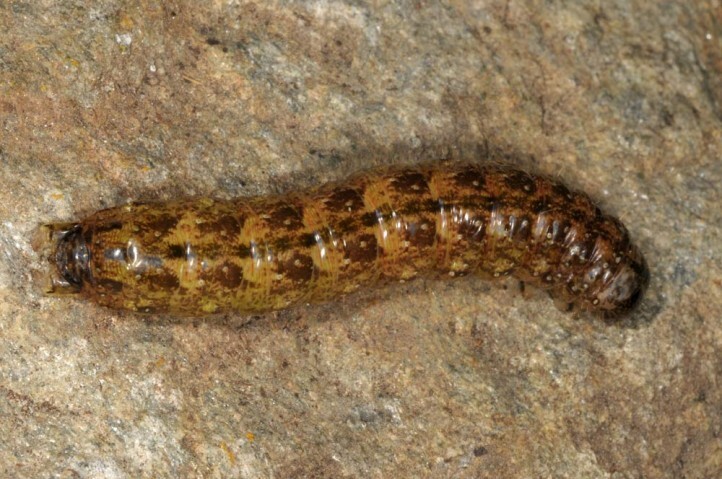 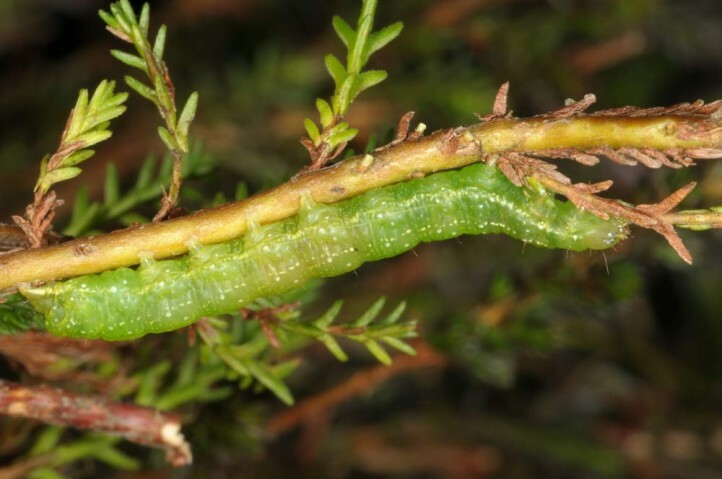 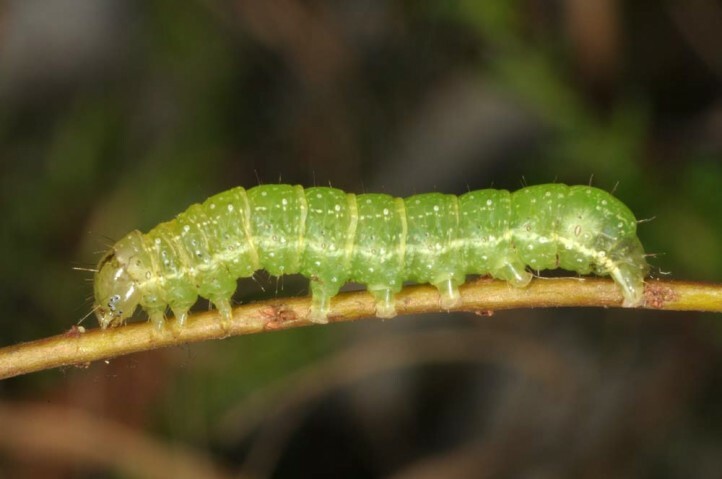 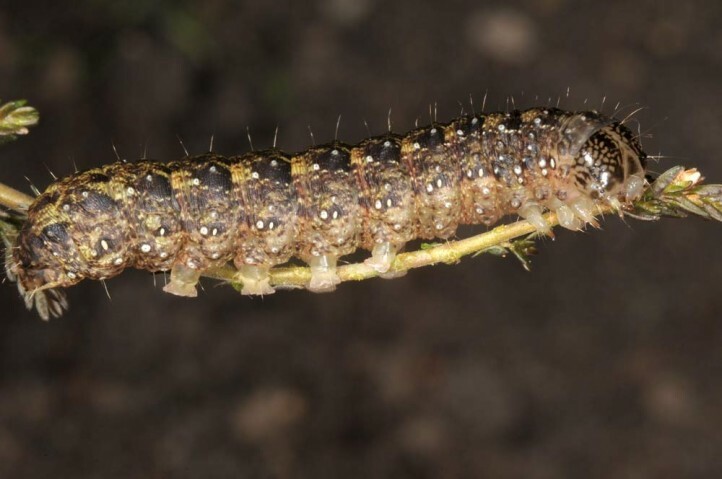 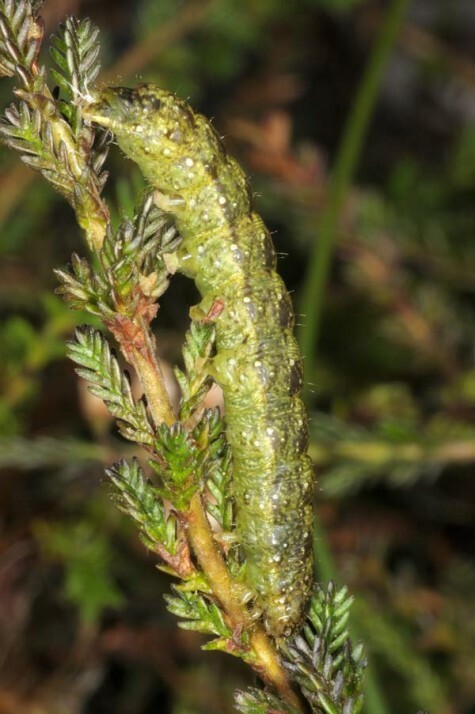 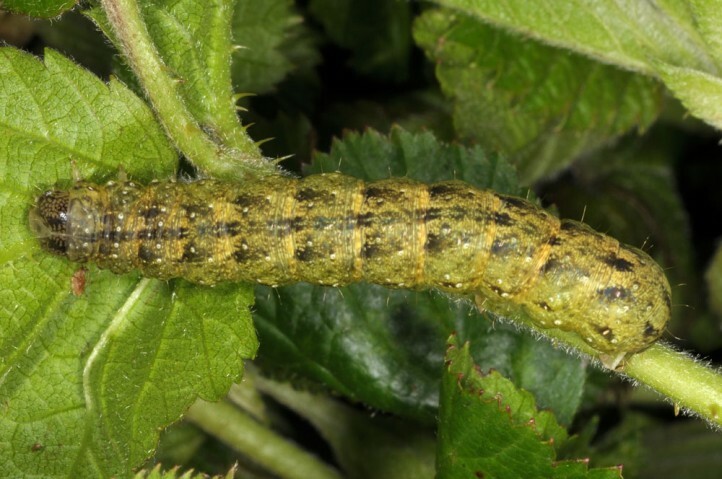 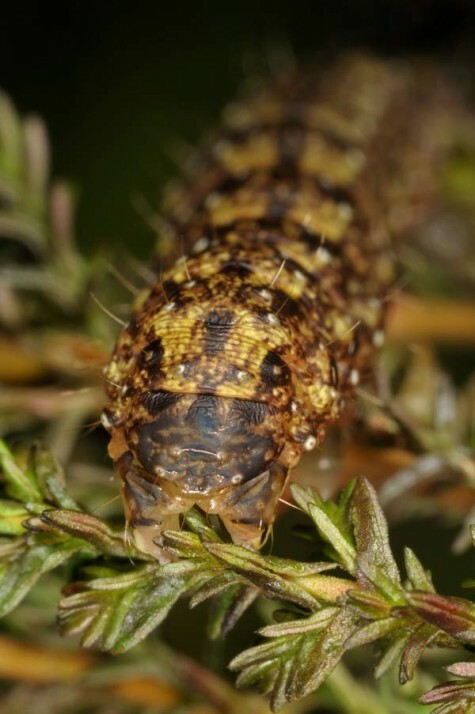 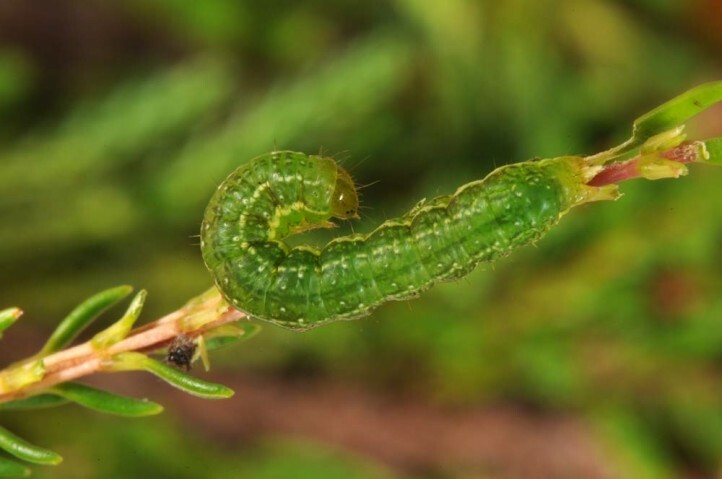 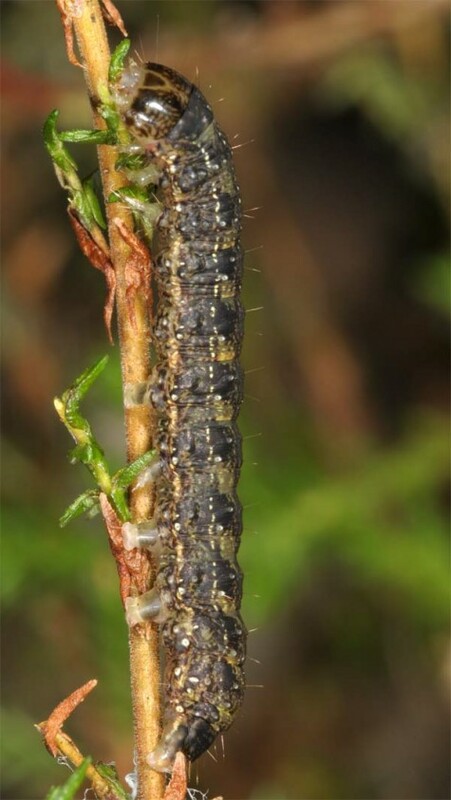 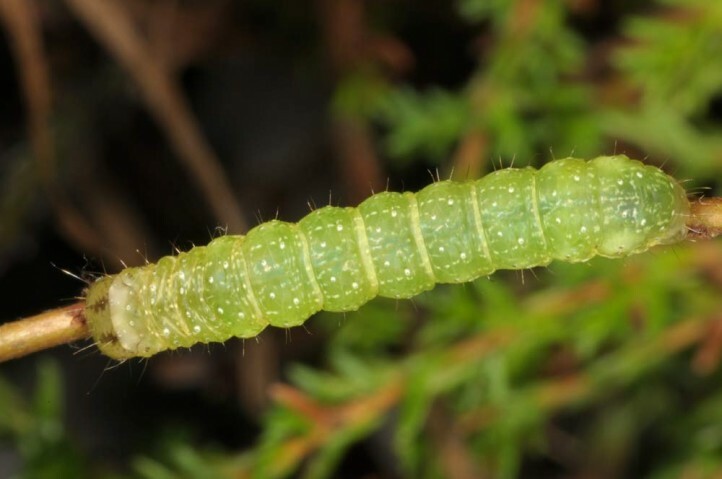 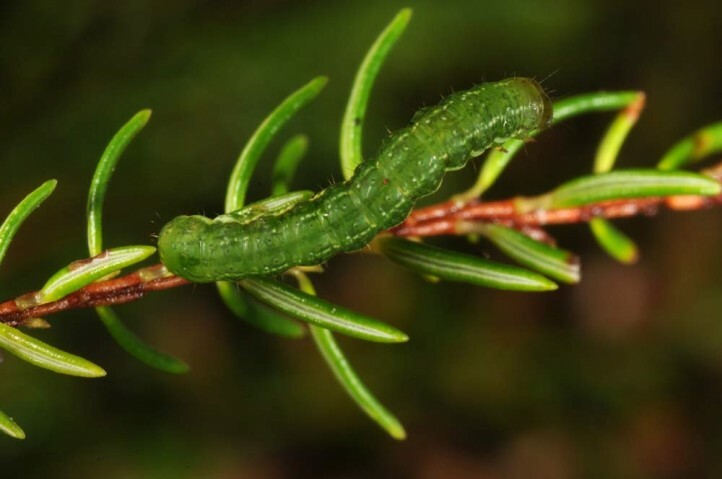 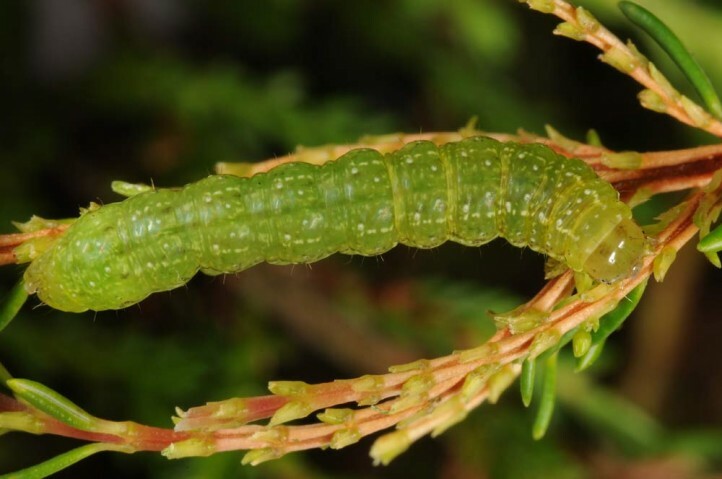 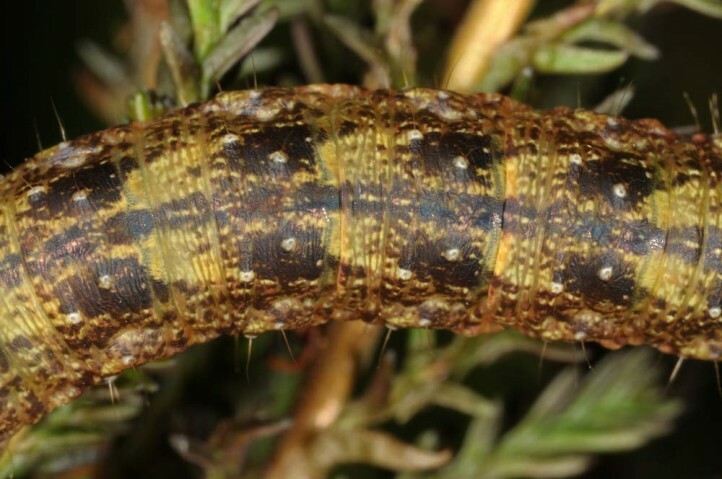 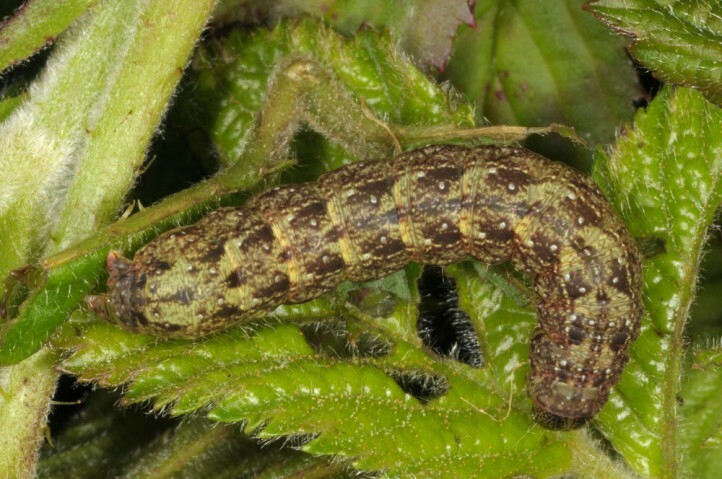 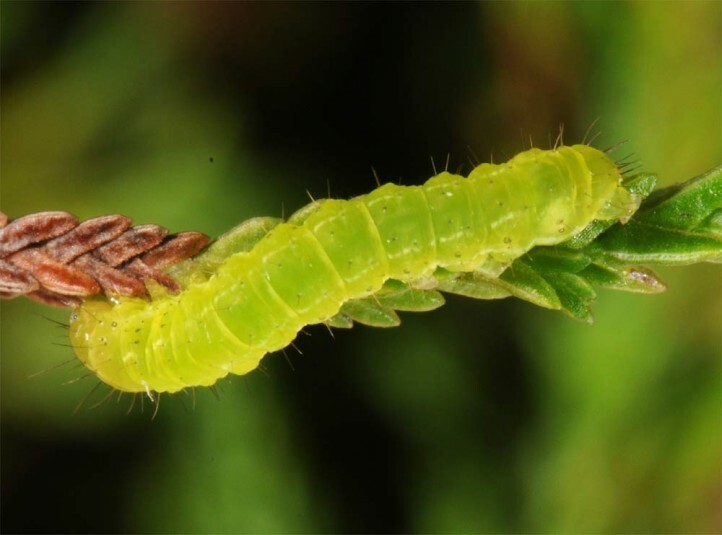 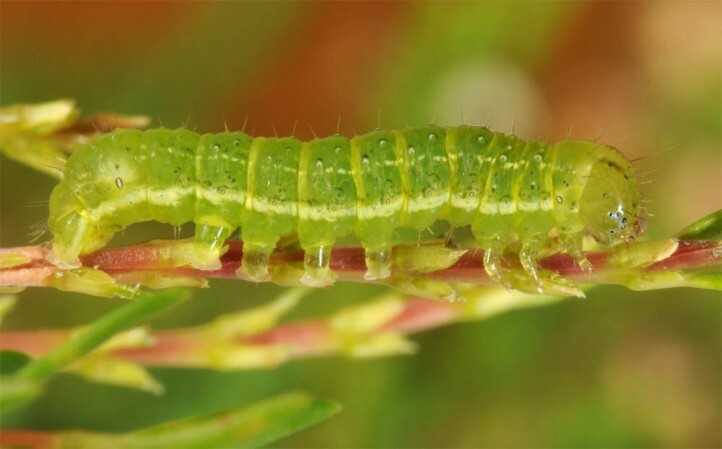 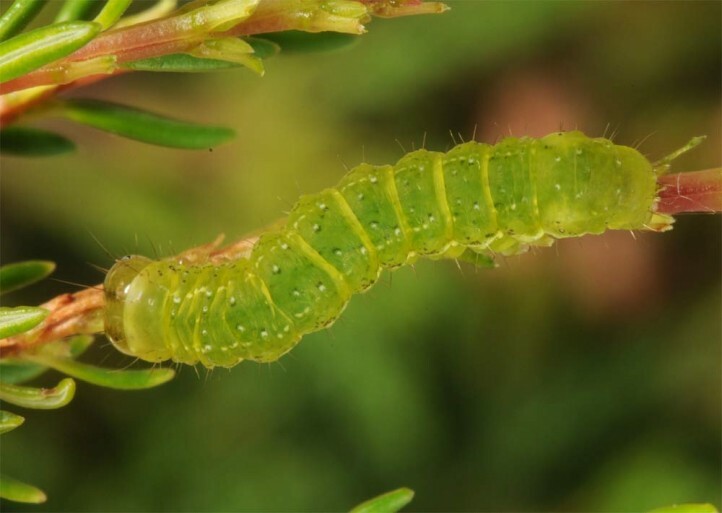 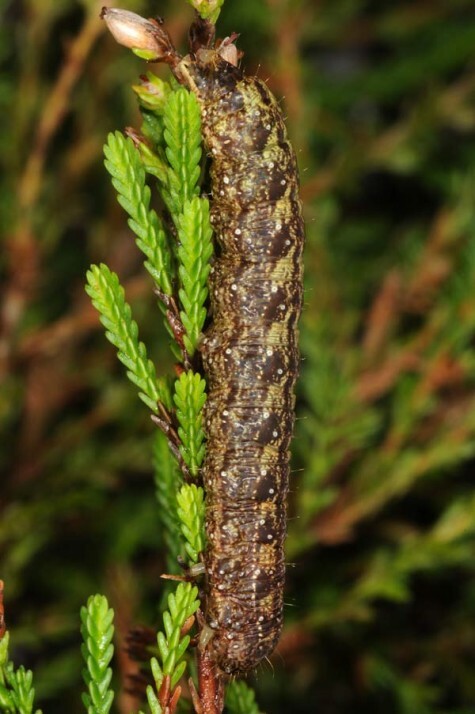 The larvae primarily live on Calluna vulgaris, occasionally also on Erica azorica and Rubus species. 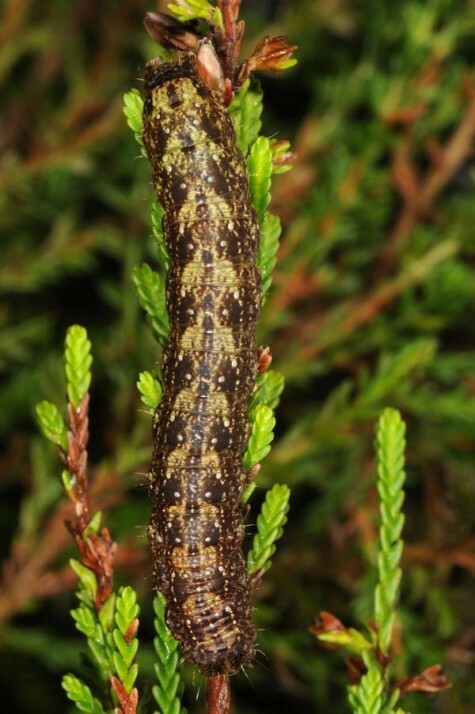 Phlogophora furnasi primarily settles open to semi-open Atlantic heath with plenty Calluna, Erica, mosses and Festuca francoi. 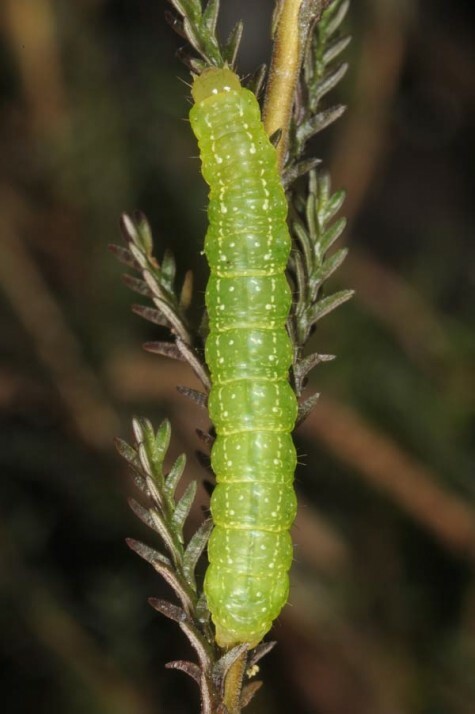 The larvae are most abundant in humid, shady, wind-protected places in northern exposition with only small Calluna bushes between ca. 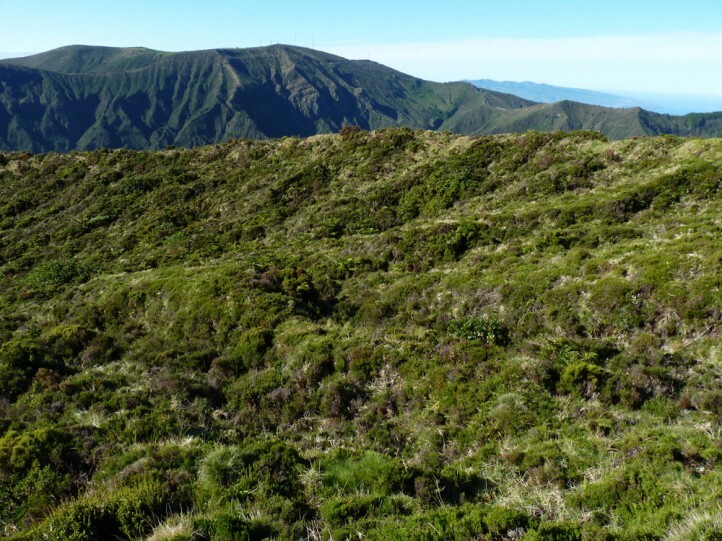 500 and 1000m asl. 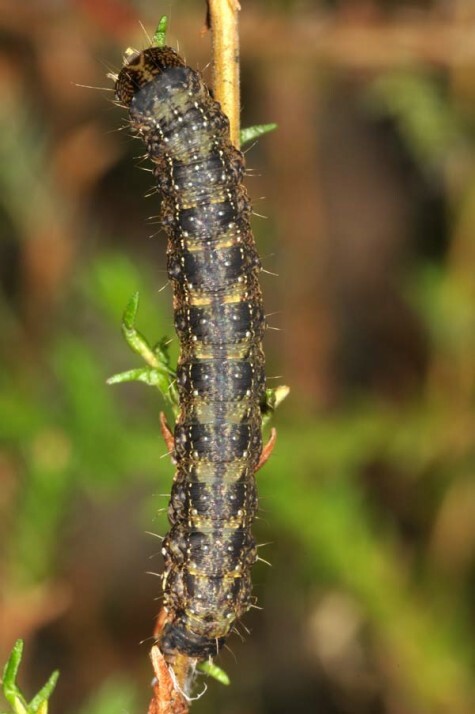 The larvae rarely miss in larval habitats of Apamea sphagnicola in São Miguel, provided Calluna is growing. 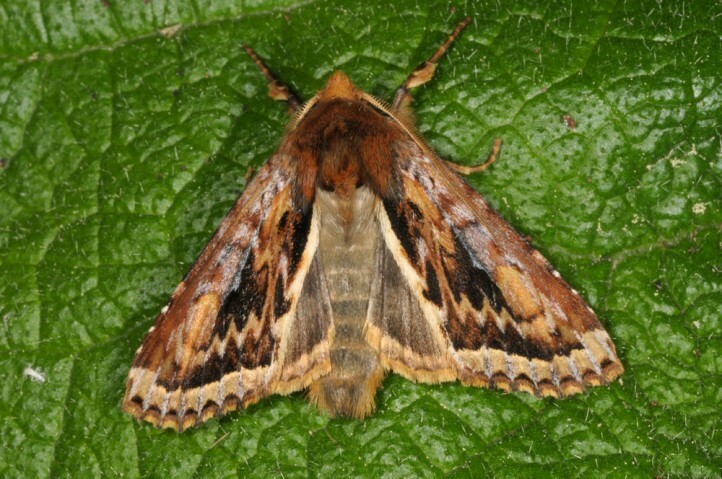 But Phlogophora furnasi is also recorded in more open laurel woodland and in low numbers also in embankments and edges of streets through allochthonous coniferous forests and other places. 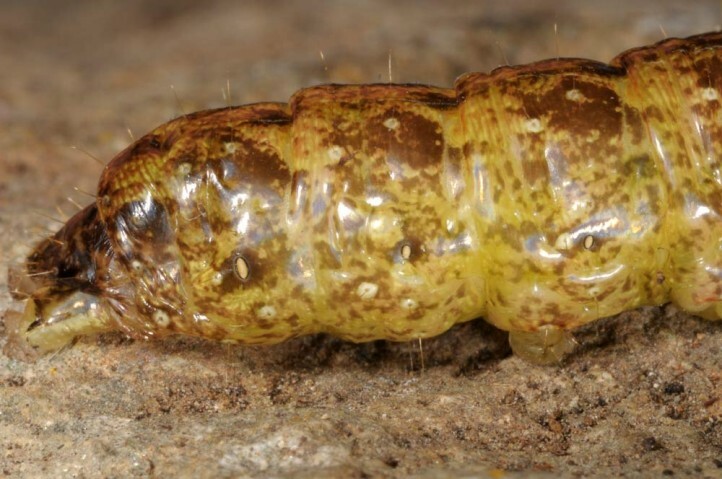 Though Phlogophora furnasi has several generations per year, the majority of young larvae can be recorded between December and February. 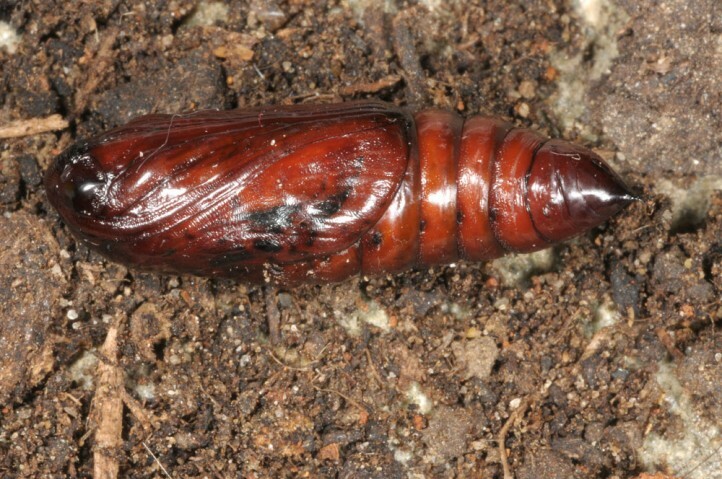 In March 2014, I already recorded mostly half to fully grown larvae. 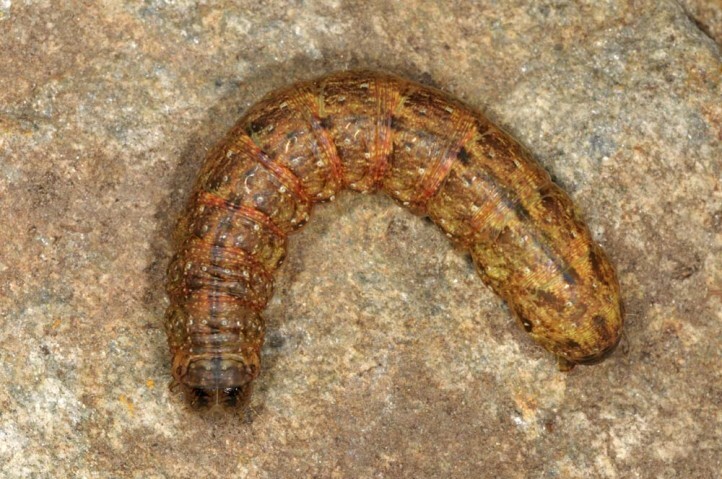 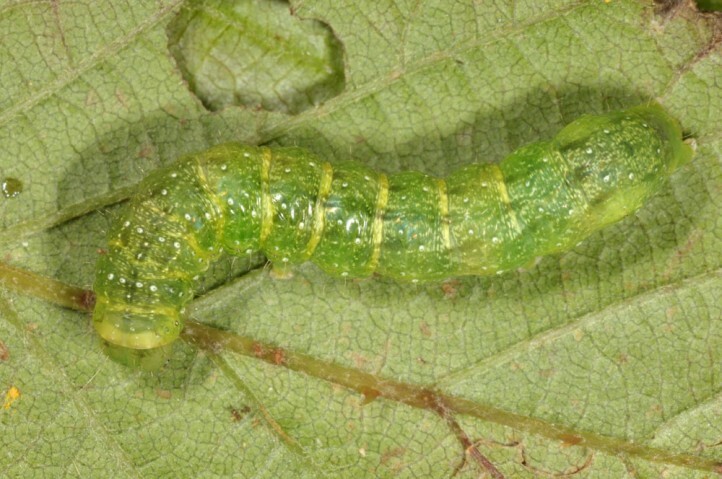 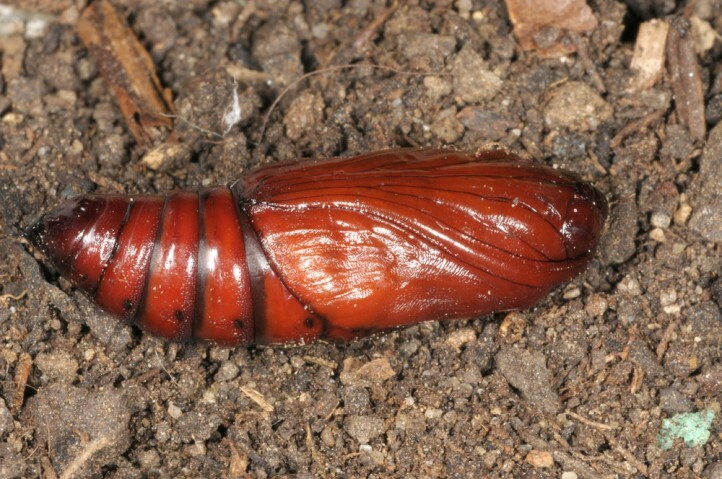 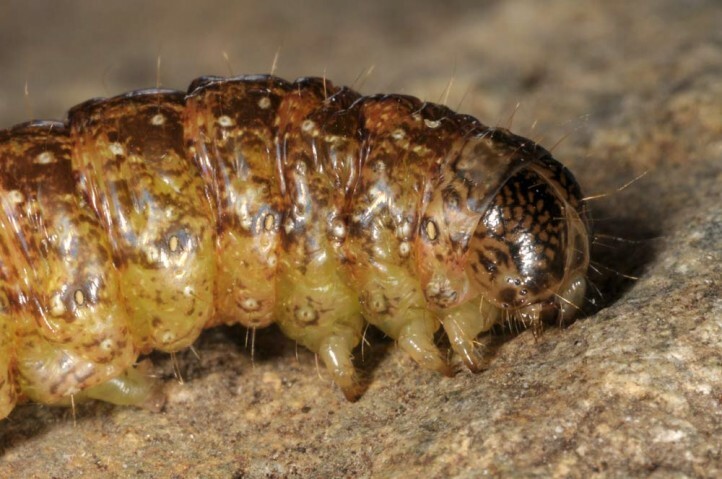 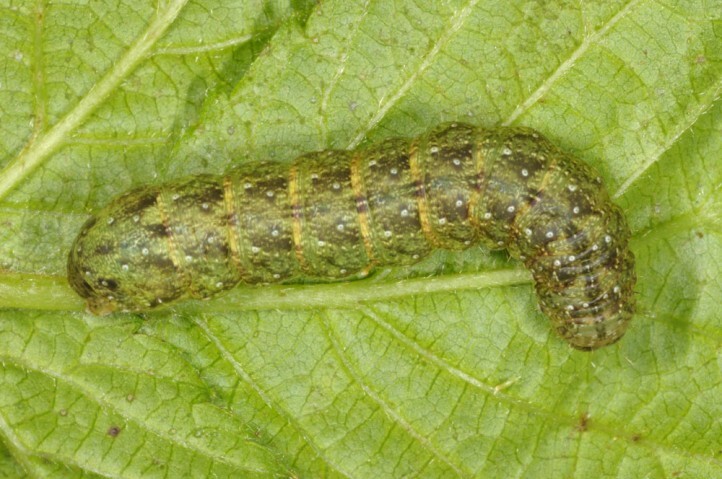 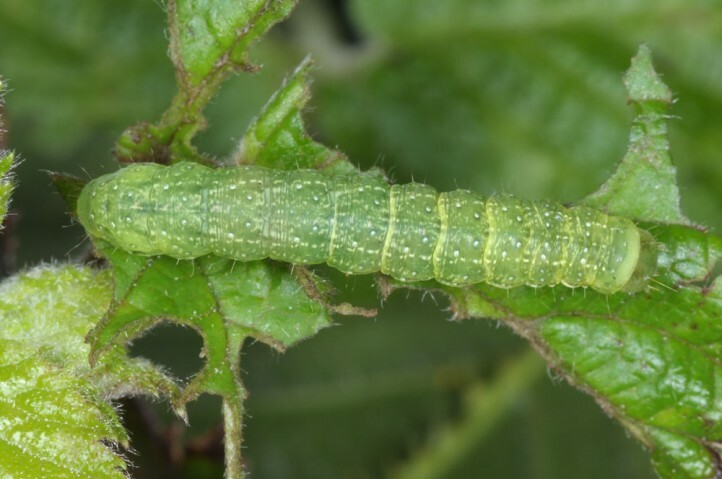 The mature larvae usually enter a dormancy already in the pupation cocoon. 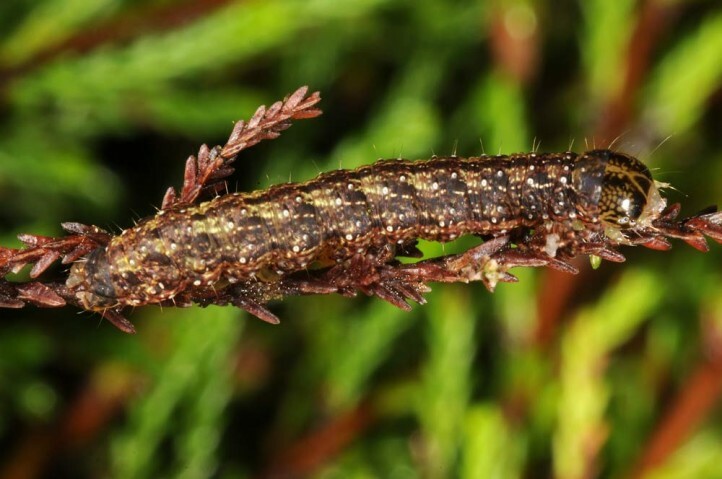 This dormancy can last for several weeks, but also for months. 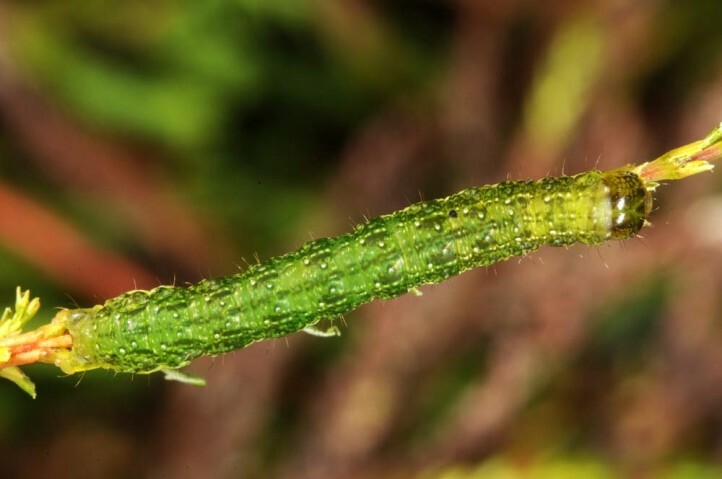 This should be the aestivation stage for many individuals, too. 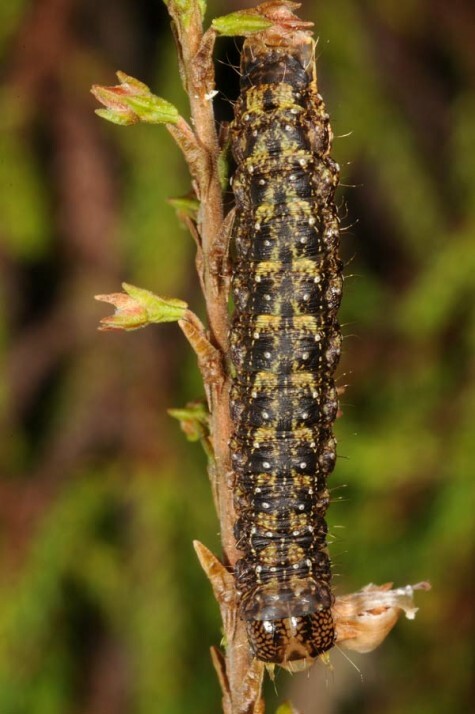 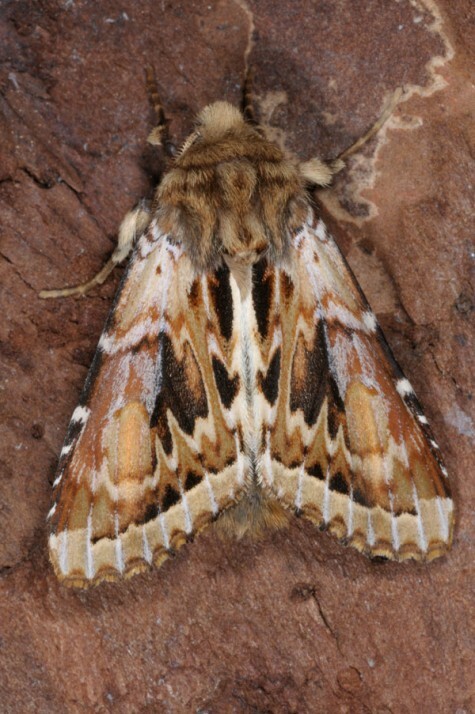 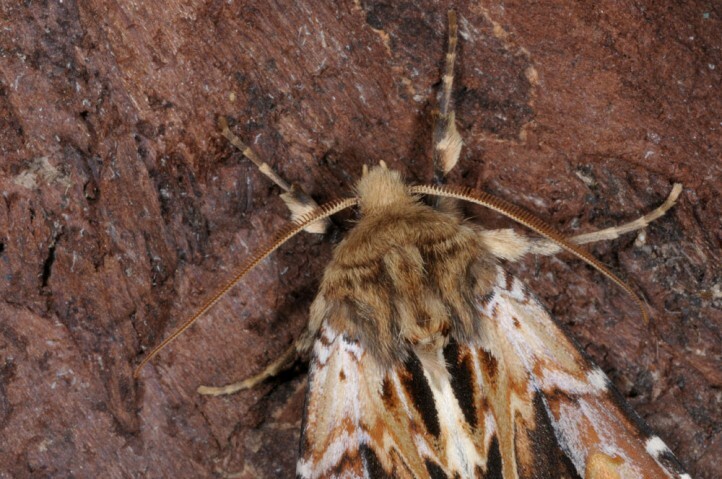 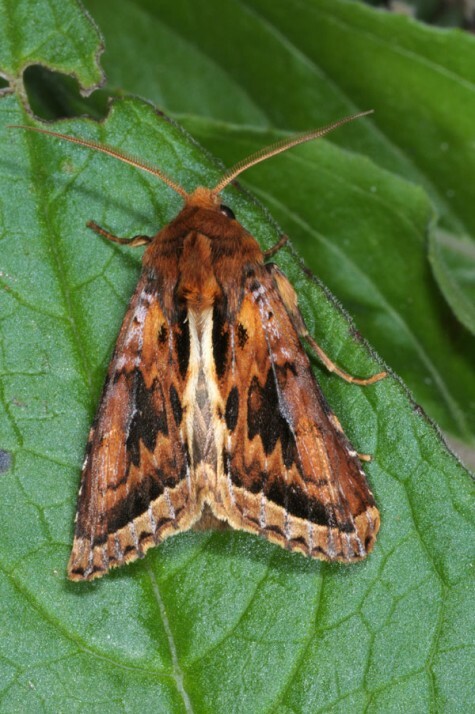 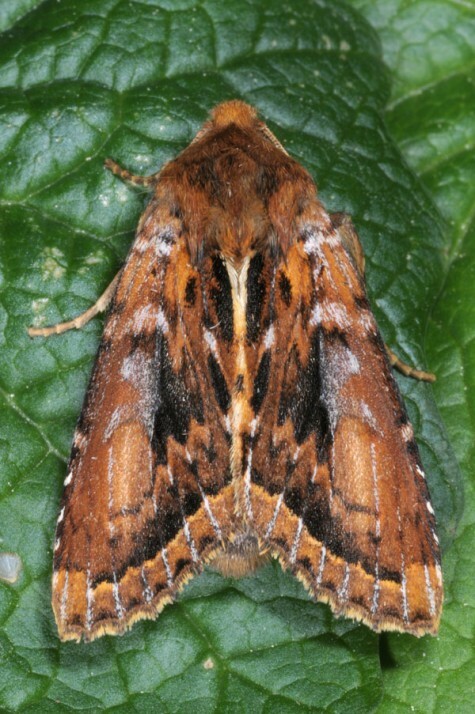 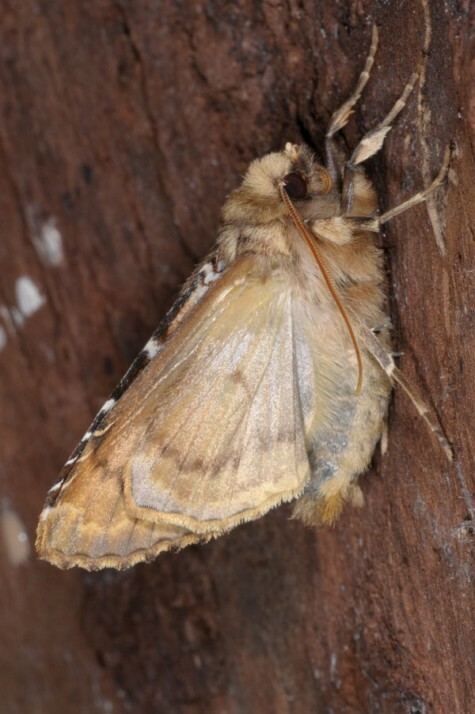 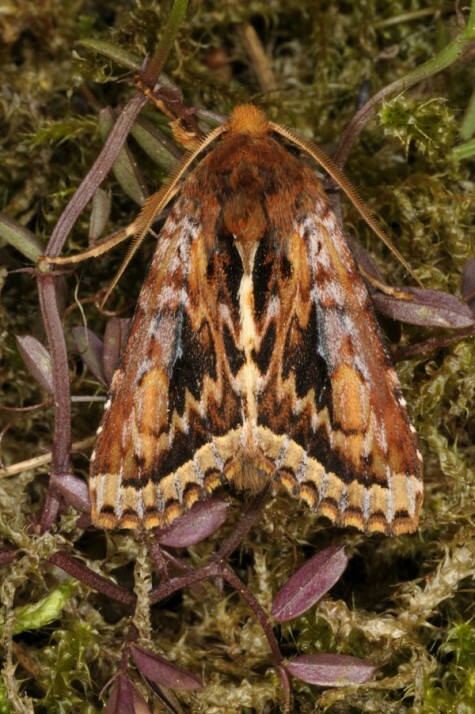 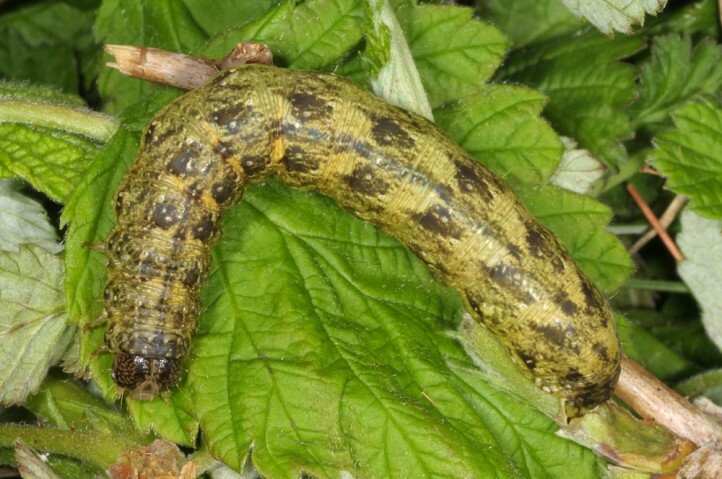 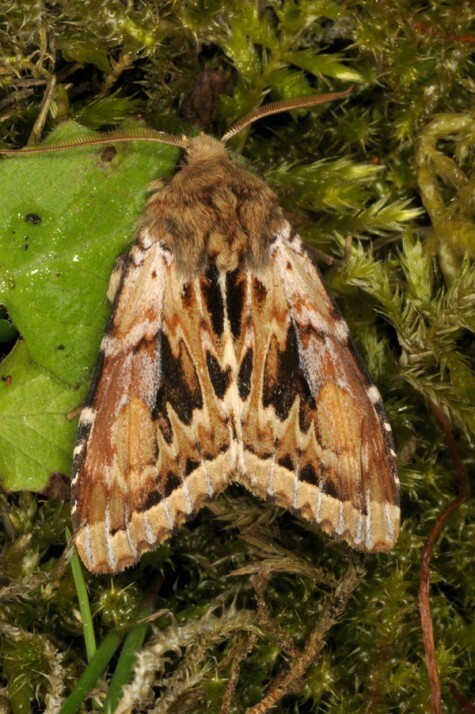 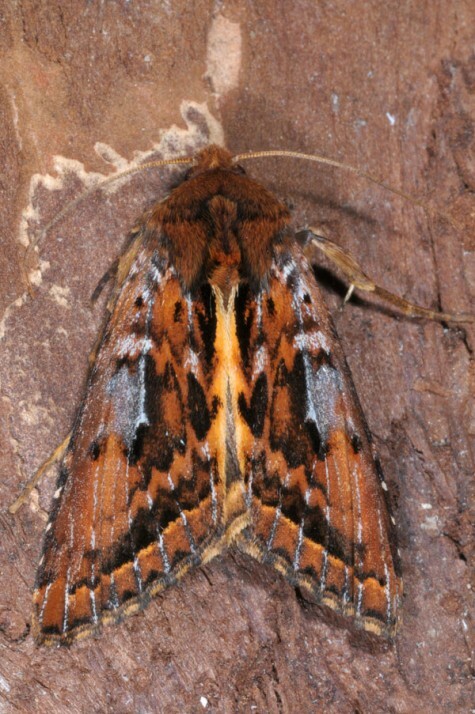 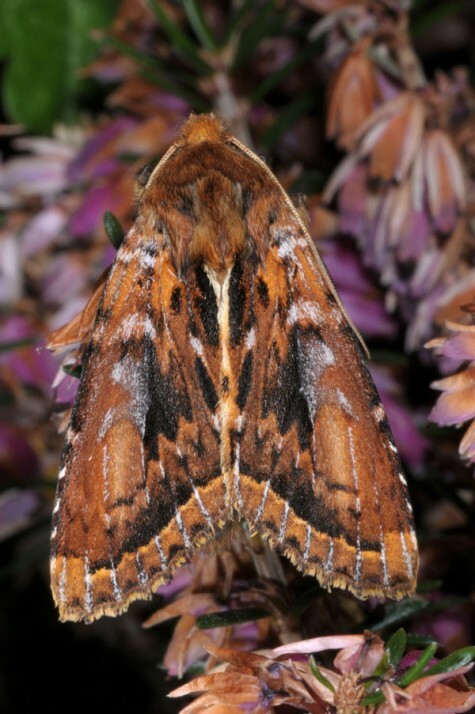 So the summer moths may be explained as follows: again and again few larvae quit dormancy an pupate, but the majority will deliver moths between October and January. 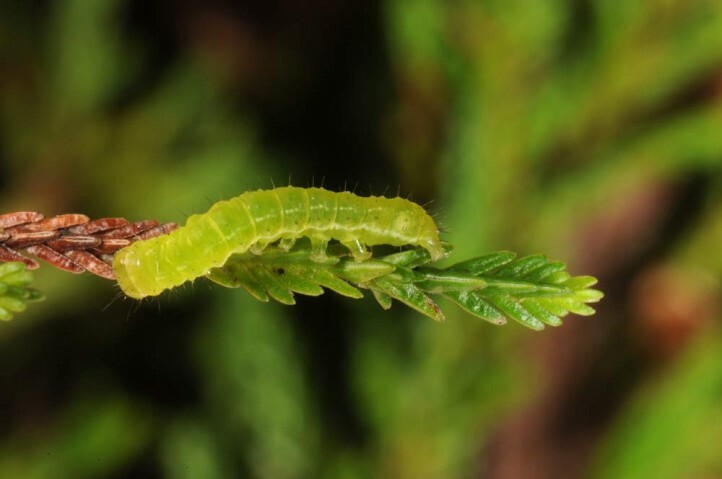 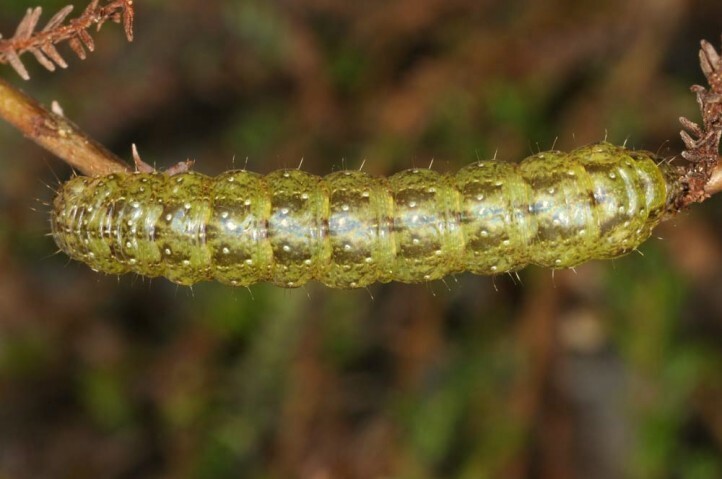 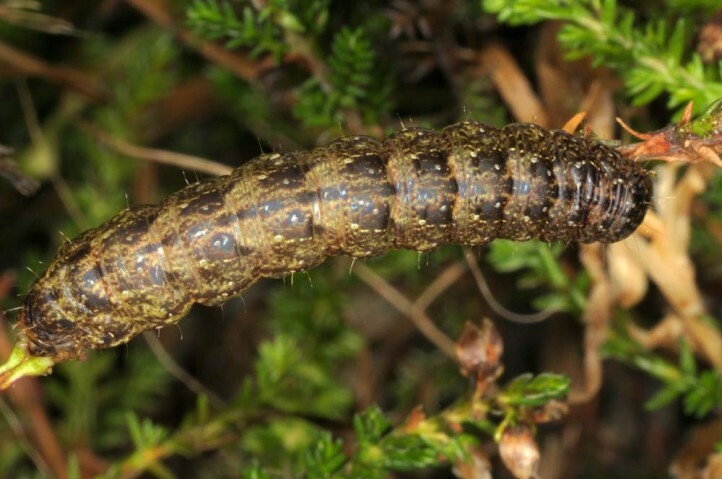 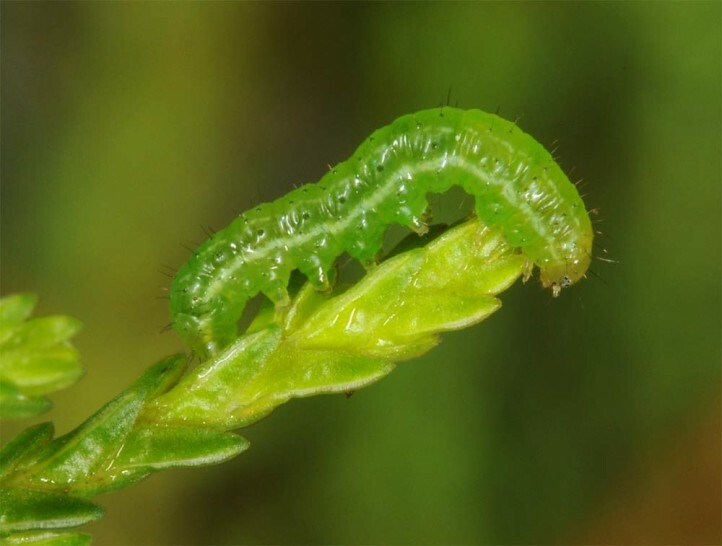 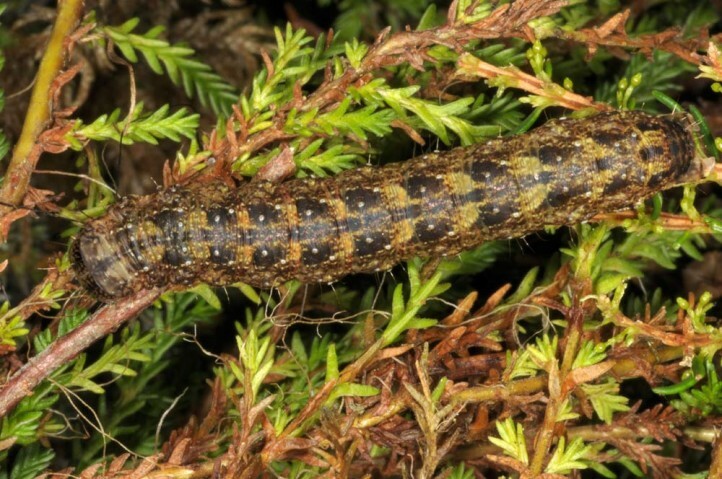 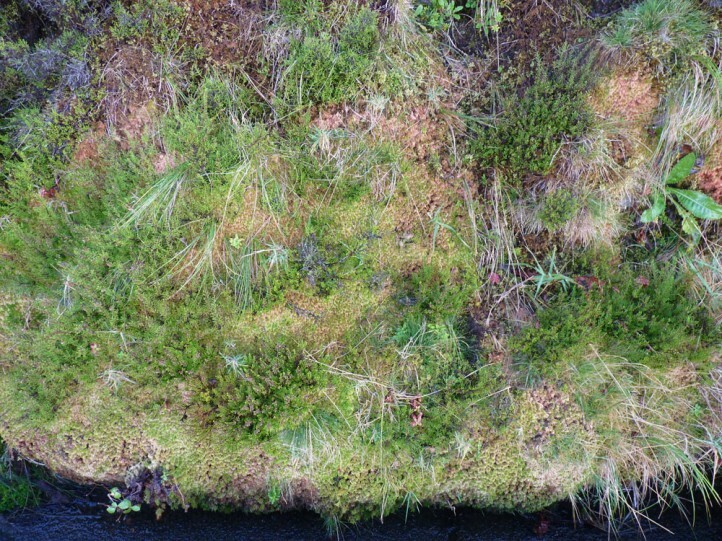 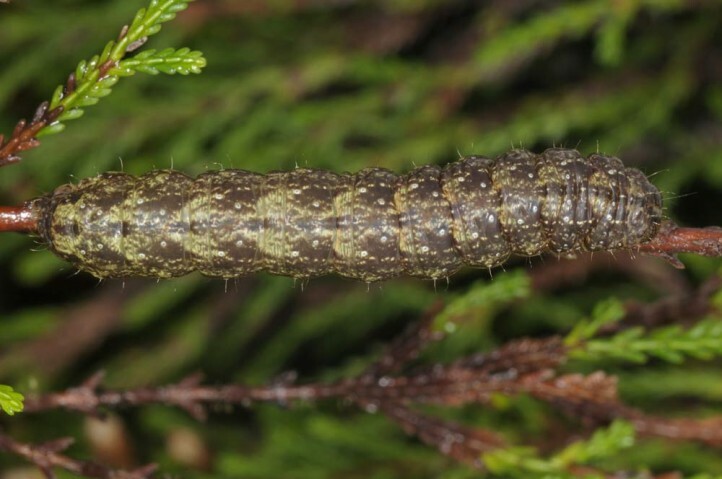 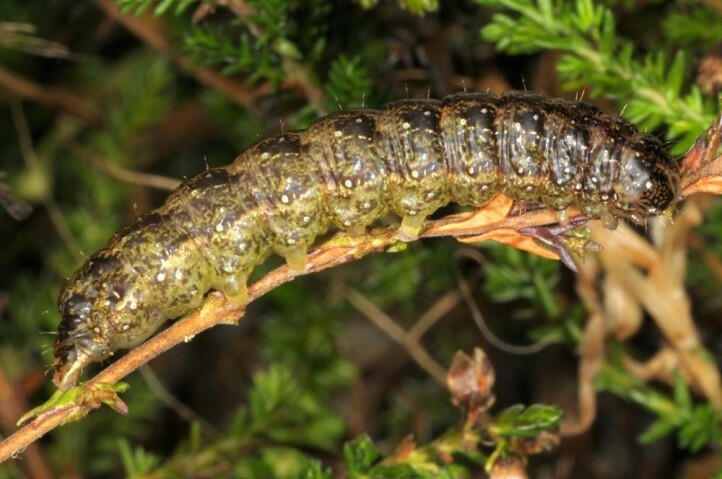 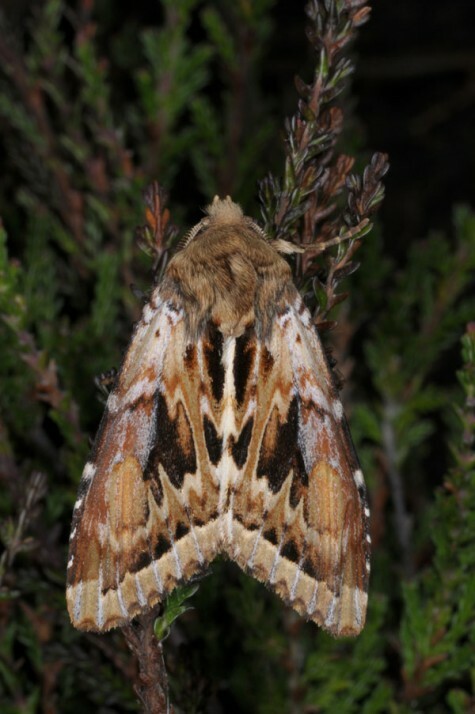 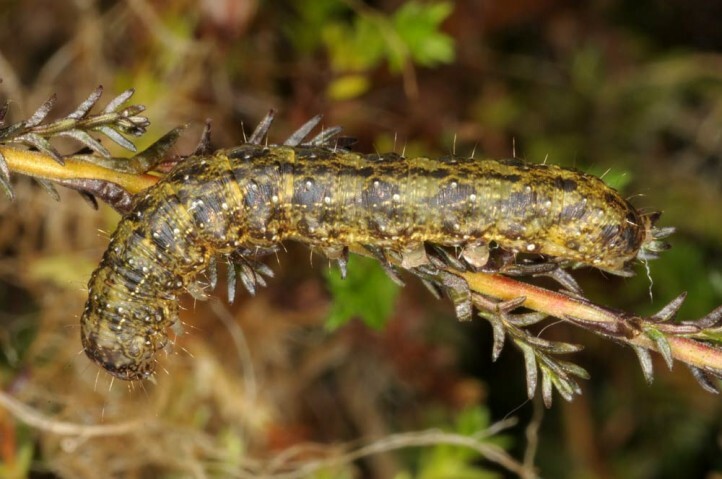 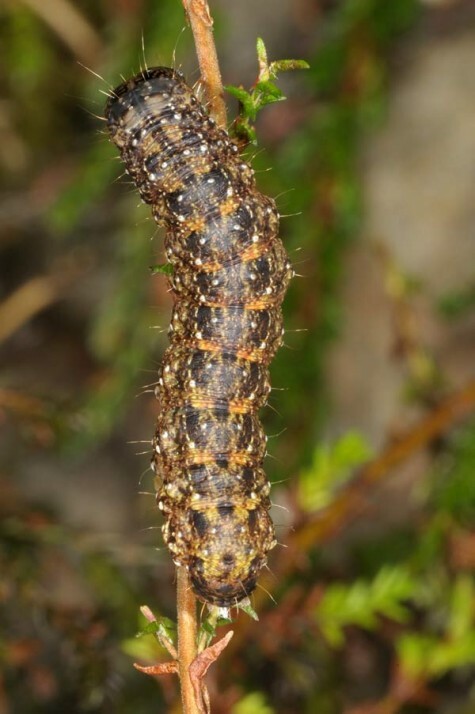 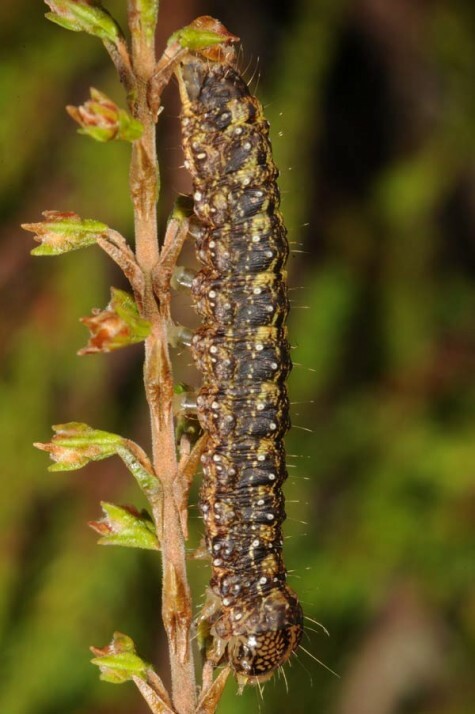 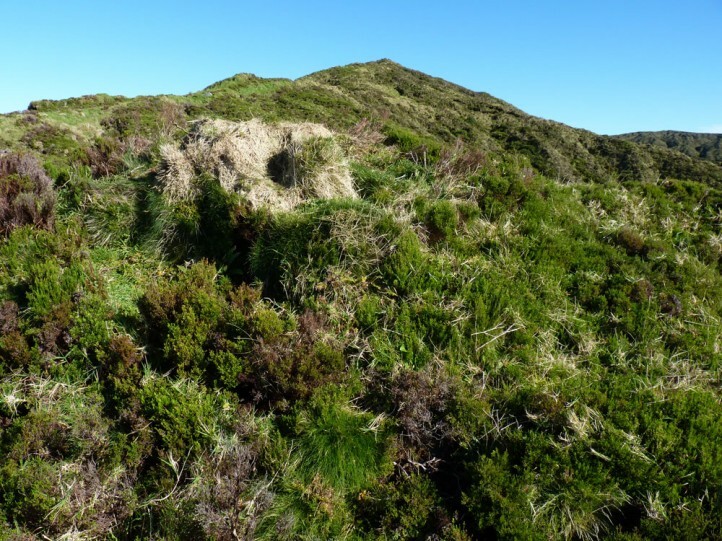 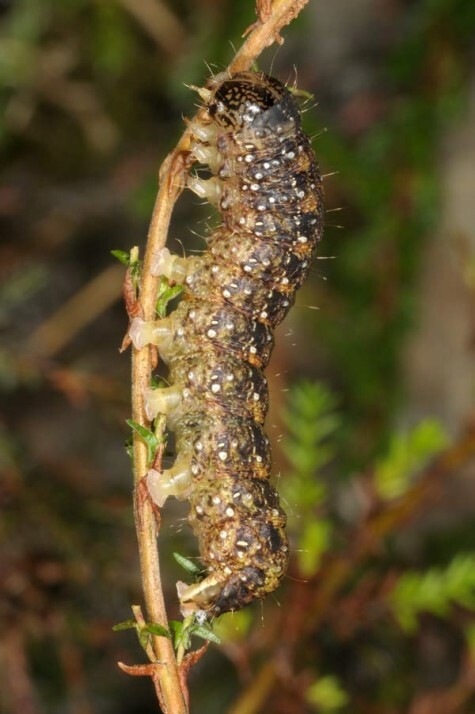 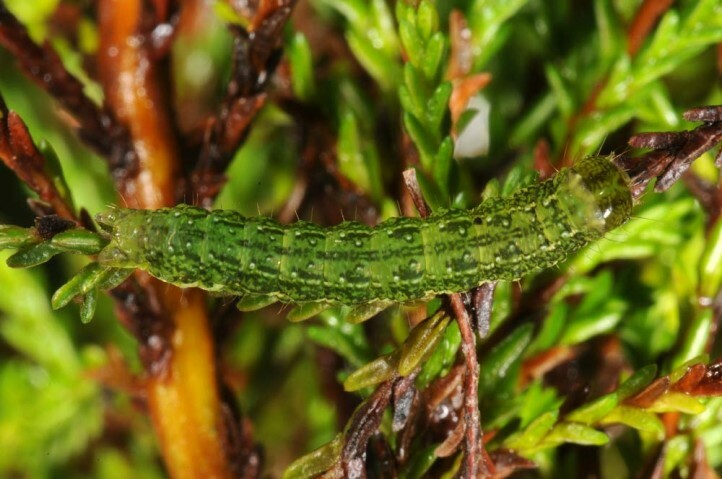 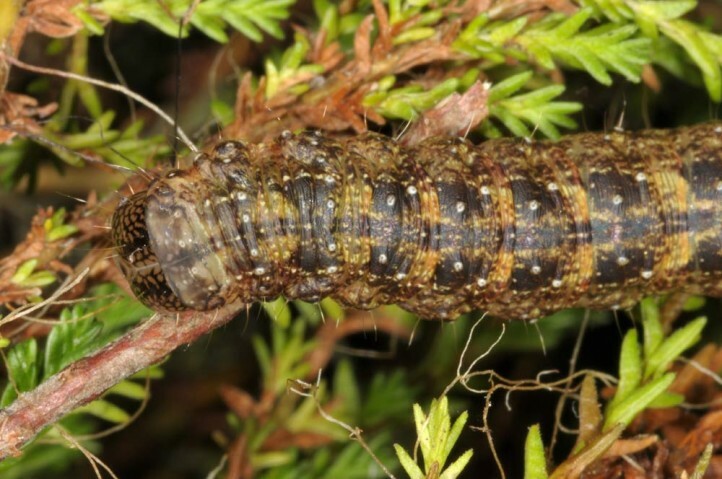 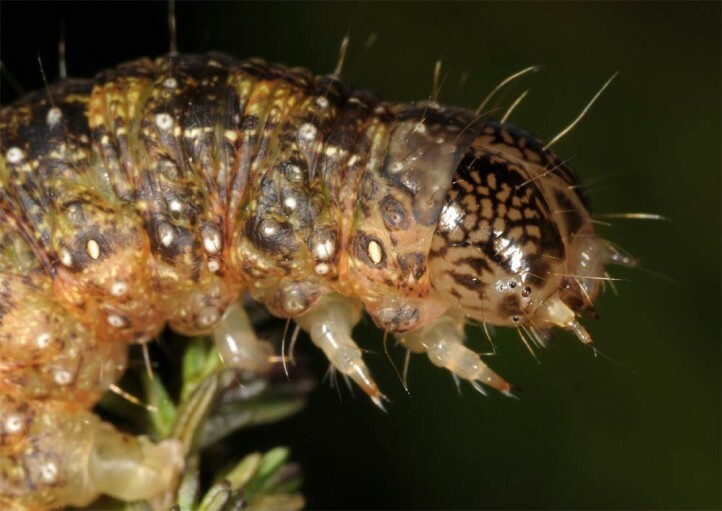 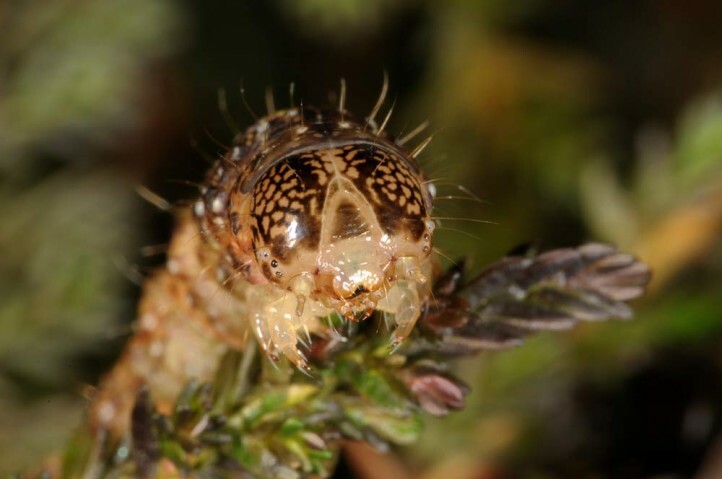 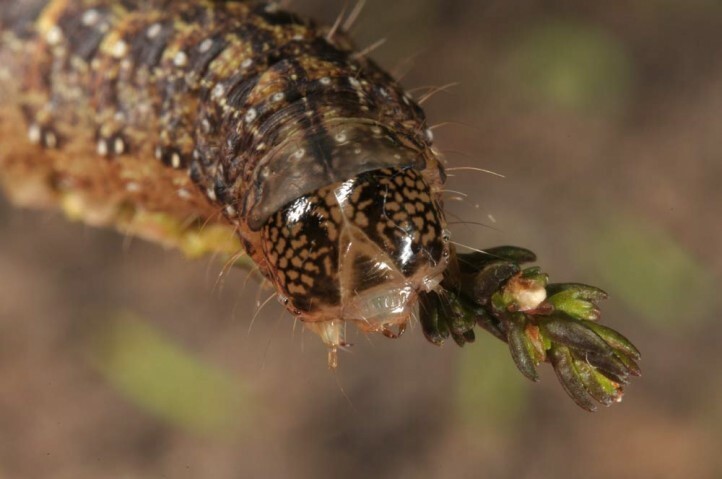 The young larvae can be beaten from Calluna, but the older ones hide in the moss during daytime (two records) and climb the bushes in order to feed only at night (many records in March 2014). 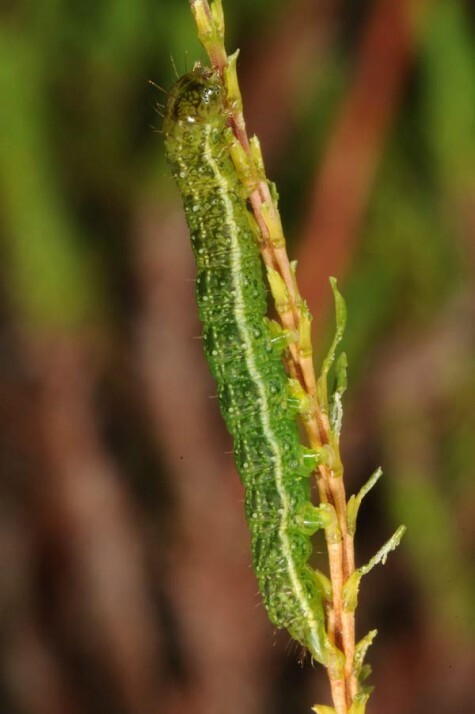 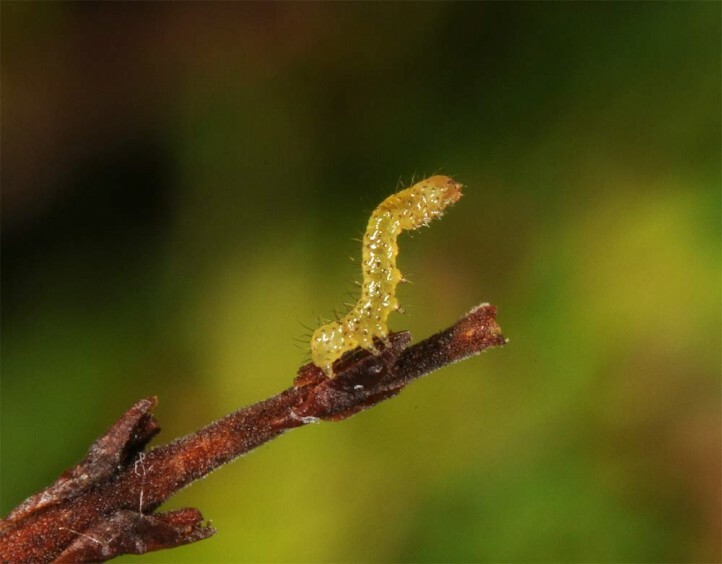 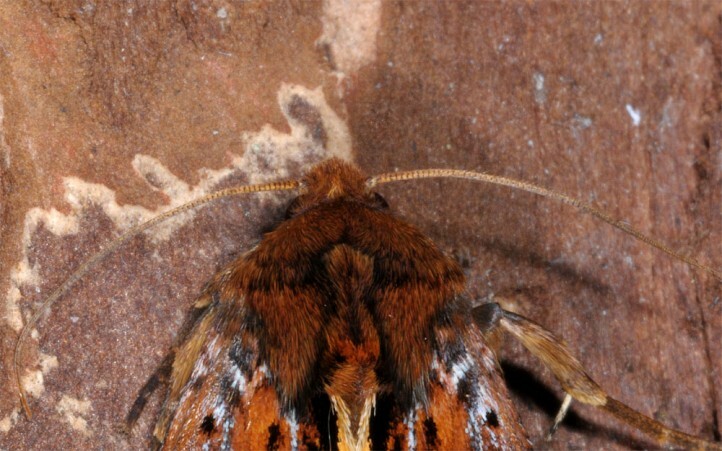 Pupation also takes place in the moss layer in a weak cocoon (records of empty pupal skins). 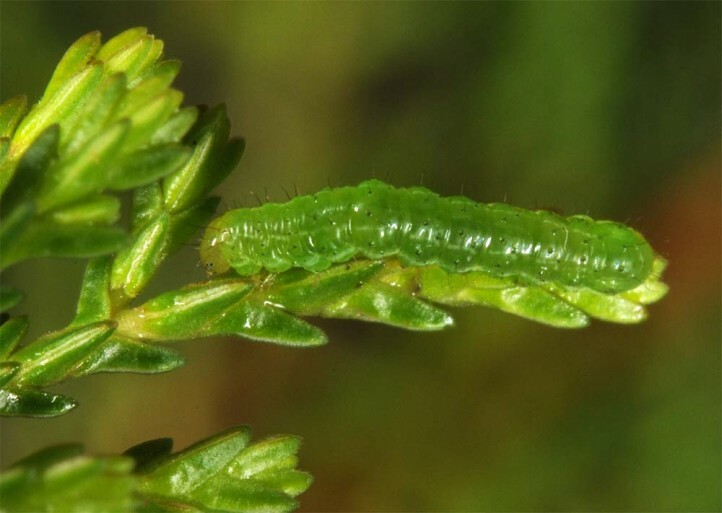 Phlogophora furnasi is under the most heavy threat among all endemic Phlogophora of the Azores. 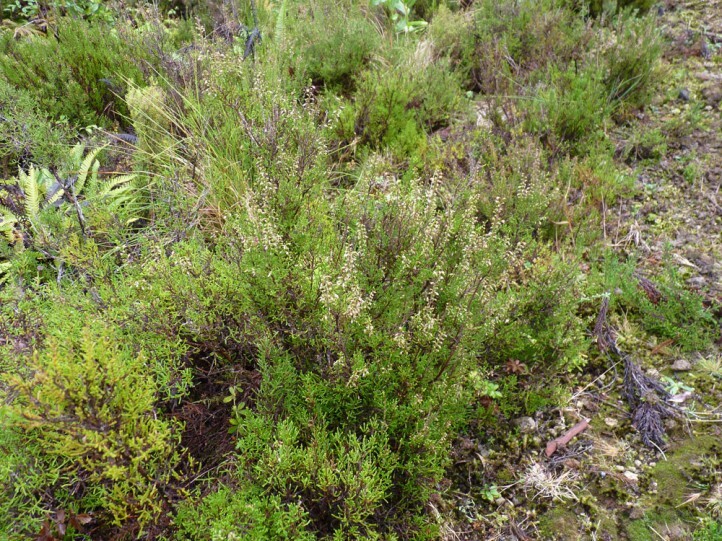 The dependence on large-scale Calluna heaths is not absolute, but those host the most abundant populations. 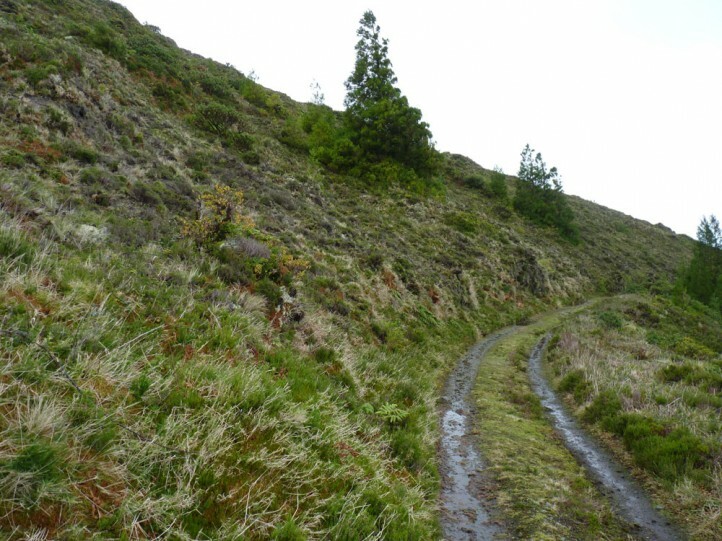 These are partly threatened by afforestation with allochthonous coniferous forests and overgrowth by invasive plants. 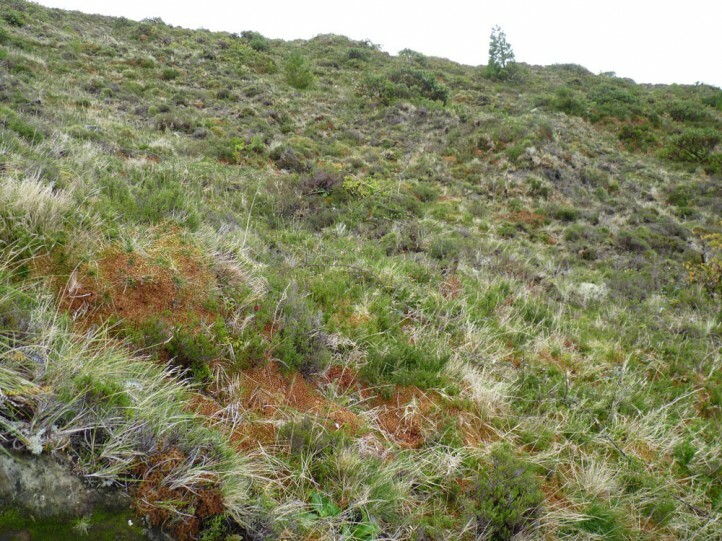 The most severe threat, however, is transformation of habitats into EU-funded cattle pastures. 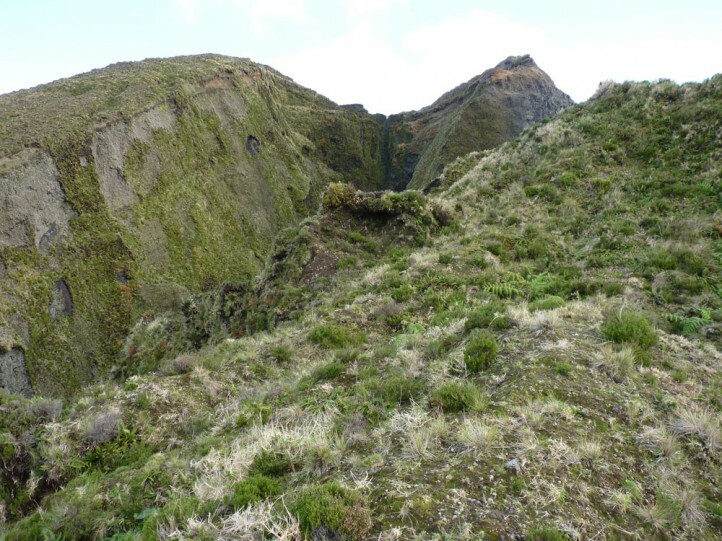 While protected landscapes of higher altitudes are relative secure at the moment, this is unfortunately not the case in Pico island. 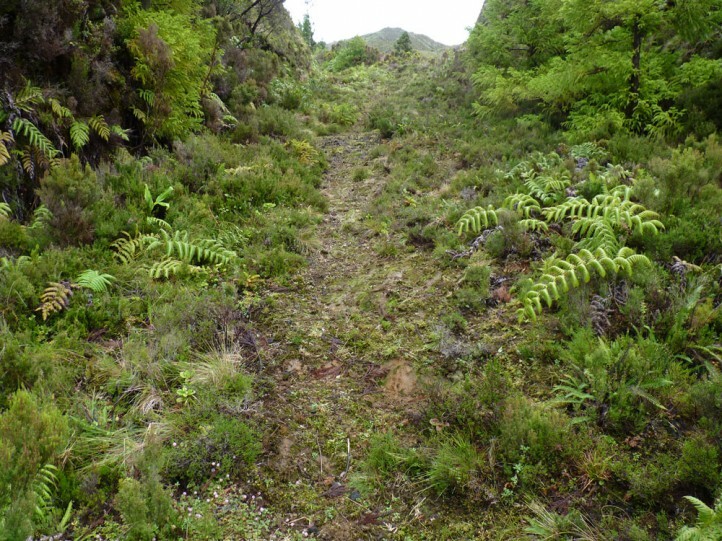 Especially in the eastern highlands, cattle are allowed to enter most of the last heaths and laurel forests and these degenerate quickly. 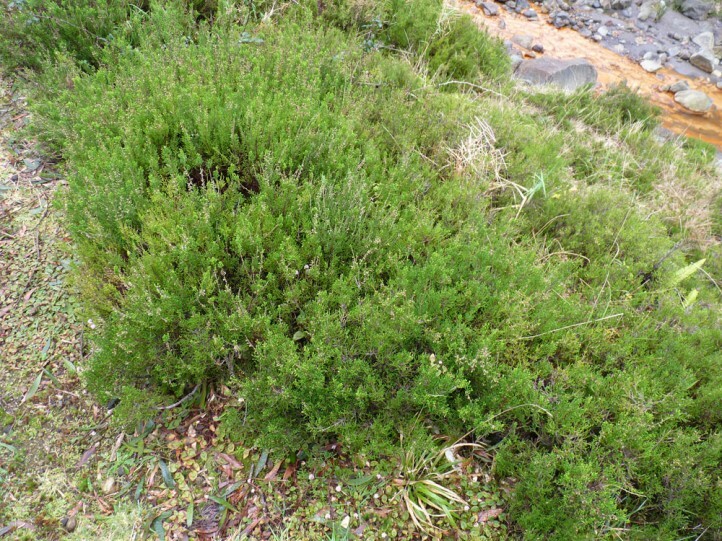 According to grazing intensity, Calluna disappears completely. 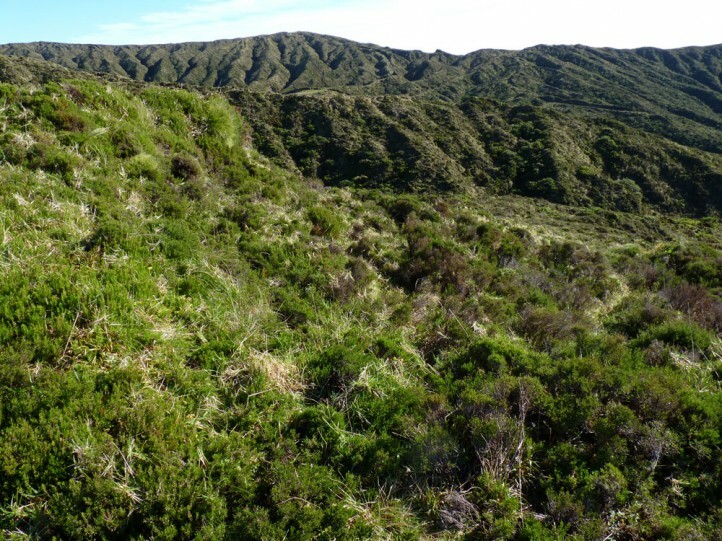 It would be necessary to prevent further cattle grazing in large areas in near future! 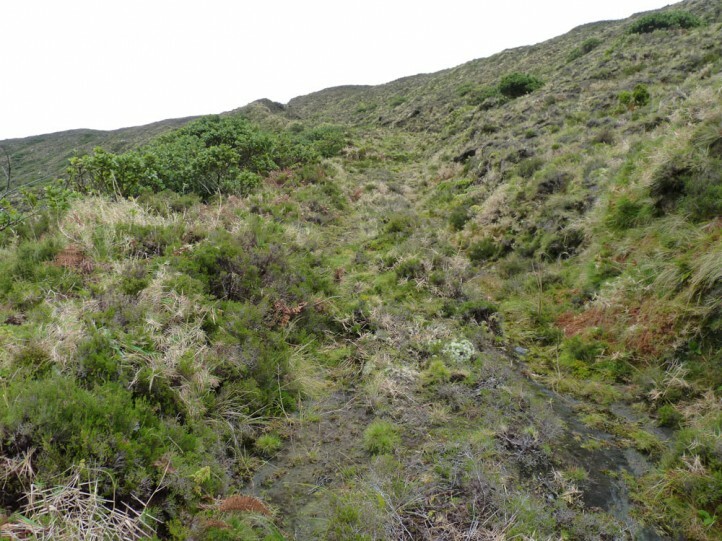 Azorean endemic plant societies do not tolerate any cattle grazing. 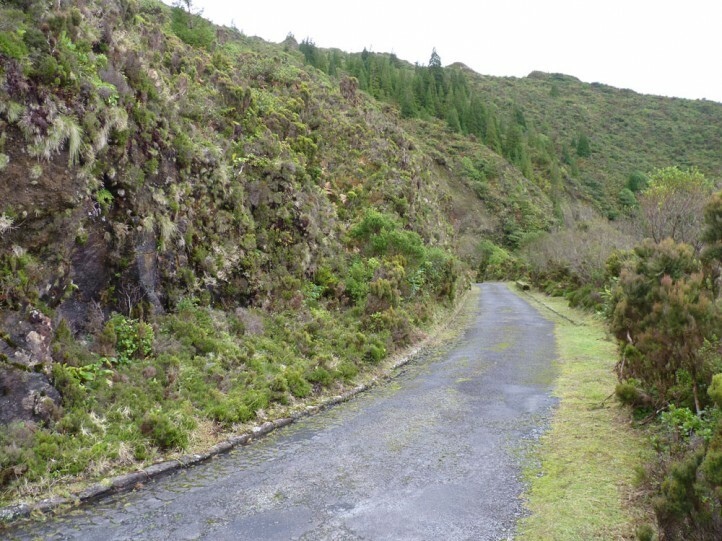 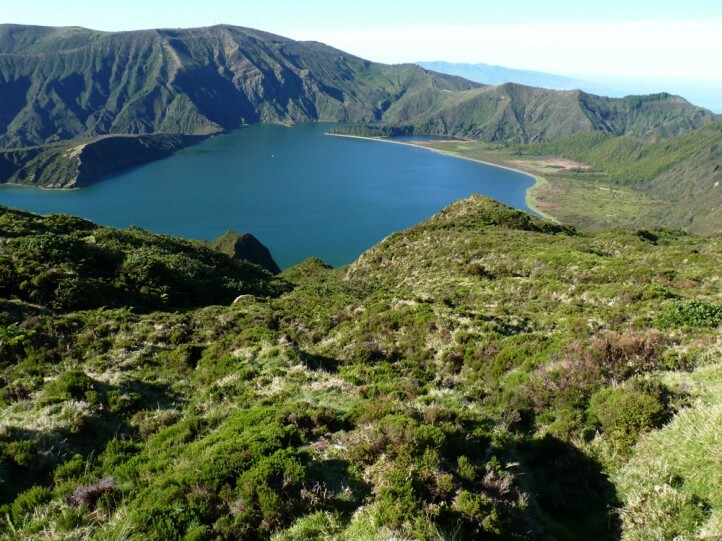 The most abundant population of the Azores probably exists in Serra de Àgua de Pau in São Miguel at the moment. 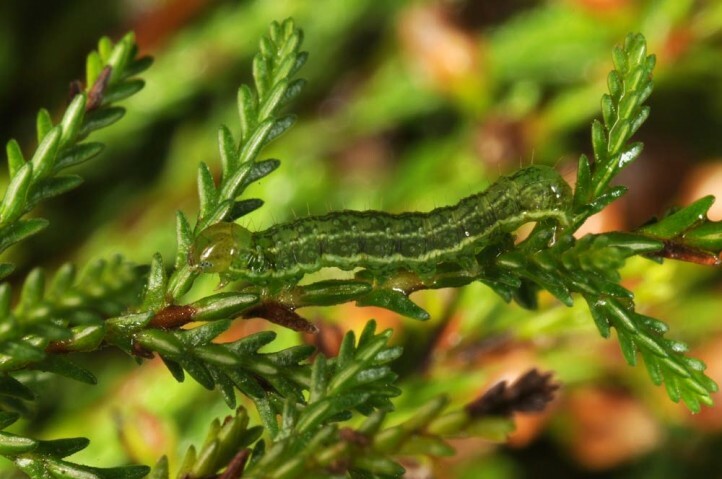 You can observe several larvae per square meter at suitable places there. 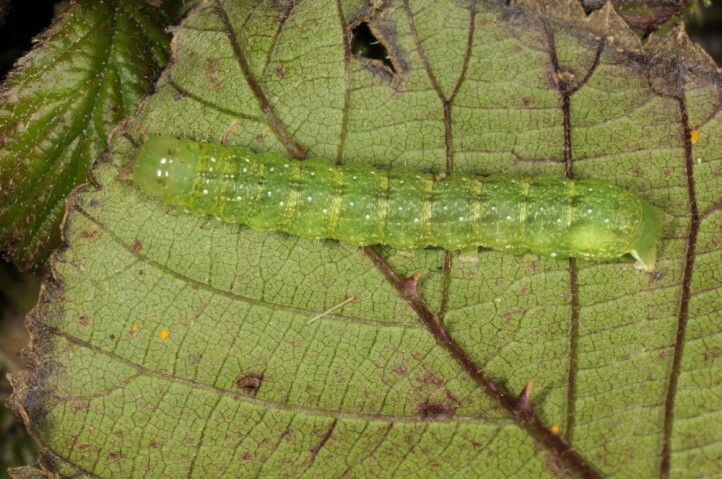 Phlogophora furnasi is endemic to the Azores (São Miguel, some islands of central group like Pico).